2 bed Apartment in Milton Keynes - 7311736 - Stylish, chic, modern apartments. Need more information about booking Home 7311736 ? 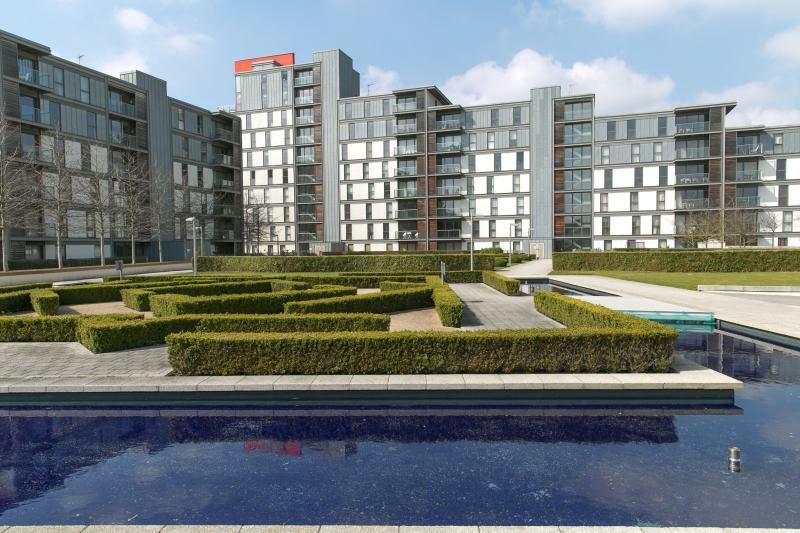 This is a stunning two bedroom apartment located in the centre of Central Milton Keynes. It has a large lounge, kitchen, two bedrooms, Bathroom & Ensuite shower to master bedroom. It has the added benefits of a balcony and underground secure parking. Just a short walk from the main shopping centre, train station, Xscape MK ( Cinemas, Bowling & Skiing ) and many more attractions. No bookings guest can be under the age of 23. Children are permitted with parents. No Smoking, No Parties, No unauthorised guests. This Apartment has 2 bedrooms, 2 bathrooms and sleeps 4. It’s been listed on Holiday Lettings since 09 Jun 2016. Located in Buckinghamshire, the average weekly rate is £1203. The Owner has a response rate of 75% and the property’s calendar was last updated on 30 Apr 2018. You can get in touch with Horizon (the owner) through the contact form on this page. Send Horizon (the owner) an email through the contact form on this page. Alternatively, if there’s a phone number on this page, you can call them. How do I contact Horizon (the owner)? If you’ve already booked, go to Manage your holiday booking to view Horizon the owner's contact details or send them a message. Or send Horizon (the owner) an enquiry through the Contact the owner/manager form if you’d like a quote or more info first. When you pay online through the Book your stay form, a booking request is sent to Horizon (the owner). You’ll find out within 24 hours whether they’ve accepted - no money will leave your account before then. You can also request a quote from Horizon (the owner) through the contact form. The owner will email you the total cost for your dates and a link to book and pay online. Use the Book your stay form to pay provisionally online. You can pay by credit/debit card or PayPal. Horizon (the owner) will have 24 hours to accept the booking and no money will leave your account before then. Why can't I call Horizon (the owner) before booking? You’ll need to contact Horizon (the owner) to do this. Send them a message in Manage your holiday booking or through the contact form on this page. You can request to change the dates or number of people on your booking via the Manage your holiday booking page. To change your holiday dates use the Edit booking button. If you need to change the number of guests staying then send Horizon (the owner) a message. If Horizon (the owner) agrees, they’ll send you a revised quote outlining the changes. You can review and accept/decline this from the Manage your holiday booking page. You’ll have 48 hours to take action before the revised quote expires.